Don’t have time to pick up your bulk or package order? Let one of Petro Lock’s experienced and professional distribution specialists promptly transport your goods to your location. Our delivery territory consists of LA, Kern, San Bernardino and Ventura Counties. Give us a call to schedule your next shipment today. 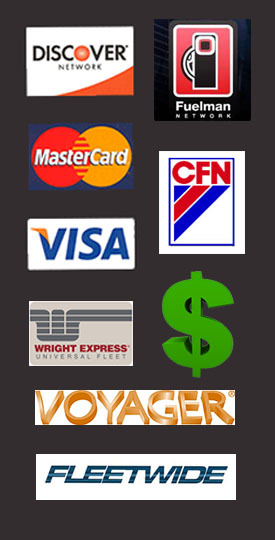 Petro Lock is proud to be part of the CFN, Fleetwide and Fuelman networks. This conveniently enables our customers to fuel their vehicles, either personal, business or fleet, at any one of the extensive list of local and national stations where your card is welcomed and accepted. Along with over 40,000 locations, our customers will experience the advantage of being billed once monthly and no longer needing to pay at the pump. The added benefit also includes online tracking, fueling controls, and detail tax breakdown making CFN the obvious choice for you. We proudly provide on-site fueling for heavy equipment, generators and storage tanks at your convenience. Integration with our CFN fleet fueling program enables off-site purchases illustrated on monthly statements for efficient tracking of your fuel expenditures. 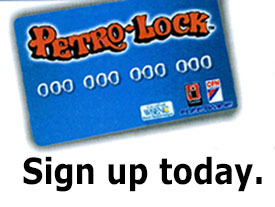 When you are approved for service Petro Lock will supply your fueling needs at your request. Being that we are direct distributors for Chevron and Castrol, we have access to sales tools and techniques to help our customers grow their business. Sales promotions, Co-op advertising funds, purchase rebates, bounce back promos, and more. All are designed to help our clients both retain their existing customers and attract new ones. Petro Lock Inc. provides a common carrier service for the transportation of customer product as well as providing our own product for our clients. As the common carrier, Petro Lock charges a freight rate based on distance of the delivery. 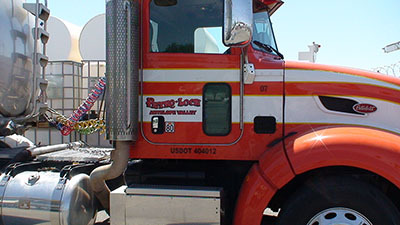 Primarily, we deliver within a 300 mile radius of Lancaster, California, but can deliver outside this area. Petro-Lock wants to make sure your business continues to move forward by offering this flexible and reliable service. When you partner with Petro Lock for your bulk fuel deliveries, trust that you’ll receive unmatched service from our carriers with the highest levels of safety in the field. Our proprietary fleets and those from our carrier associates are held to the strictest training and performance standards and carry top safety ratings from the DOT. You can trust Petro Lock to provide punctual, secure, and hazard free deliveries day in and day out. We can provide a complete fluid analysis program that monitors major compartments and components in trucks and other equipment. Tests are performed on engines, gears, hydraulic systems, and transmissions, as well as coolants and fuels. Samples are tested for contaminates, wear metals, antifreeze, viscosity, soot, fuel dilution and water. These all help the customer to better monitor their equipment for premature wear, potential problems, and extended drain intervals. …All of these at competitive pricing!